Relax, let OzzieSplash take care of your splashback. We ‘Supply & Install’ splashbacks in: The Sydney Lower North Shore, Sydney Hills District, the Central Coast and parts of Newcastle. 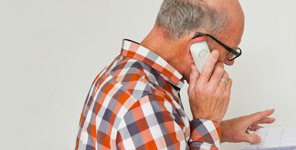 Call us today and you’ll receive an immediate, obligation free assessment and tentative quotation. Upon your acceptance, we’ll then book you in for taking ‘on location measurement’, usually within 3-5 working days and confirm final quotation. Power points, uneven walls, curved in/out window frames, benchtops, etc., are all crucial in creating a perfect fit. OzzieSplash apply very specific, elaborate measuring methods to eliminate those error factors and thus, leave no room for mistakes. No job leaves our factory without passing our unforgiving QC. Delivered to your site, we’ll start with a thorough installation preparation and then securely affix the splashback to the walls. Cleanup and bring to shine your new splashback area is just a no-brainer. Enjoy your new Splashback! Warranties – Our installations cover a 7 year building and manufacturer warranty also our own installation warranty so if anything should happen, you’re covered. 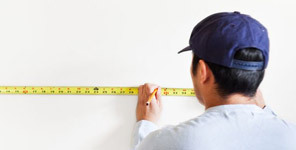 Precision – With over 1600 installations we know how to take exact measurements so everything lines up perfectly. 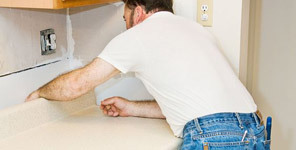 Time – Our accumulated experience and expertise allows us to install any kind splashback fast and accurate. Peace of mind – Simply lay your worries to rest and enjoy our expert installation of your new splashback. Here’s the start of a project where the space has been cleared and ready for the splashback INSTALLATION. And this is how Your kitchen can look, too. Transformed from a once lifeless cooking space, into an exciting, shiny and easy to clean, master chef alike food preparation area. Want to feel the joy of cooking, again? Go OzzieSplash!